Writing a [blog] is like driving a car at night. You can only see as far as your headlights, but you can make the whole trip that way. Episode 8: Baby, It’s Cold! Talking to Antonio in December he made it sound like he was in a scene from The Day After Tomorrow. He was claiming it was “freezing” in his office in San Juan, Puerto Rico, but he did provide some photographic evidence. Meanwhile, here at home in Saskatchewan, I’m sitting in a t-shirt but looking out the window at snow. So it goes, but we were overdue, as usual for another podcast. And despite my best intentions to get this episode published in 2018, the holidays we spoke of put the kabosh on that. And with a mid recording interruption when one of us lost our internet connection, we lost track on timing. There goes the Twenty Minute Rule, trashed again. After some opening banter about holiday celebrations, we started with the oft repeated / never proven Blogging is Dead assertion. I had this on my mind having just again blogged about blogging. Is it pointless incessant barking, or is it a sleeping dog? A likely copyrighted image from a card my sister bought (hey somewhere money was transmitted) and sent me. I had it for a long time on my refrigerator door in Arizona along with the gallery of dogs past. But more than our own use as grey beard bloggers, we focused more about our use with students blogging, as we both teach classes where we run WordPress sites as syndication hubs. Writing, always happens to make you think. And sometimes when you write, you discover you understand better what you think and discover something you did not know seconds before. It’s a powerful mechanism for self-exploration, self-understanding, besides being a social thing. He reports that his students that blogged over previous semesters remina proud of their work. Many blog extensively about their class projects but often venture onto more diverse topics. One of his previous students wrote an entire novel as installments on her blog. This was not even an assignment, but an idea of her own. Antonio recently gave a talk at the University of Puerto Rico at Aguadilla where he tried to make a case that blogging was a great approach to encourage writing across the curriculum. I talked about the trap of getting caught up in audience, whether we get comments, likes, retweets, which can make us forget the power of just writing for our own sake. Antonio does point out that knowing their work has been read is an important motivator for new bloggers like his students. Many of his students are doing blogging for a first time. Antonio tried to suggest what many people write in social media as “short form blogging” but I would not let him get away with that (we laughed). And also we got into a bit of a discussion about the “ownership” of a blog, that a blog on WordPress.com to many is not “owned” by the individual, more like rental. We then had a blip when we lost the internet. But the show went on. We talked about the paths students hopeful take to develop their own writing voices in their blogs, moving away from “this is my assignment” type of postings. Speaking of voices, I talked about the amusement of seeing the twitter bots our NetNarr students created in 2017 that are still chattering away. We went on to talk about the powerful result when students continue blogging after the class ends, a few of them take ownership of their own domain. 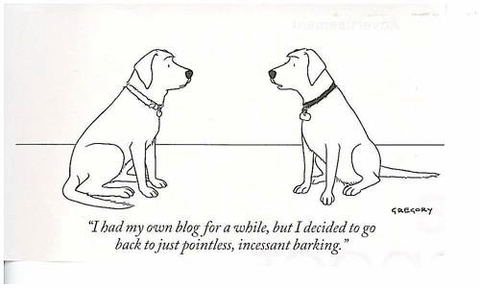 I shared a memory of early days of the Domain of One’s Own at University of Mary Washington, how students said in a Faculty Academy presentation said that blogging did not make much sense when they were given a domain. They saw value after experiencing meaningful classroom assignments. Then we had a nice interruption when Antonio’s colleague Doribel stepped in to say hello. Antonio shared that in Puerto Rico there is a lot of footholds in Learning Management Systems. People will philosophically agree when he raises issues with the problems of systems that discard student work, but generally stay with it. Blogging is a great metaphor for writing and creating, and is so easy to implement (and also cheap to implement). But I’m an optimist. And I hope little by little we can move into that area. Antonio talked about the excitement of the new terrain, how little we knew of it, that we had to learn to walk, navigate, and build. It was a thrilling atmosphere, I remembered discovering Mosaic, after spending time with Gopher. Antonio noted how many of the early institutions on the web were newspapers and museums. He remembers checking the early 1990s Vatican museum’s web sites. My own experience parallels Antonio- that I was exploring gopher servers too, when a colleague handed me a floppy disk with Mosaic written on it– Jim Walters said, “just try this”. Discovering the NCSA;s Beginners Guide To HTML (which sadly you cannot even find from NCSA anymore, try http://obswww.unige.ch/~blecha/doc/primer.html) launched me on the path I am still on. 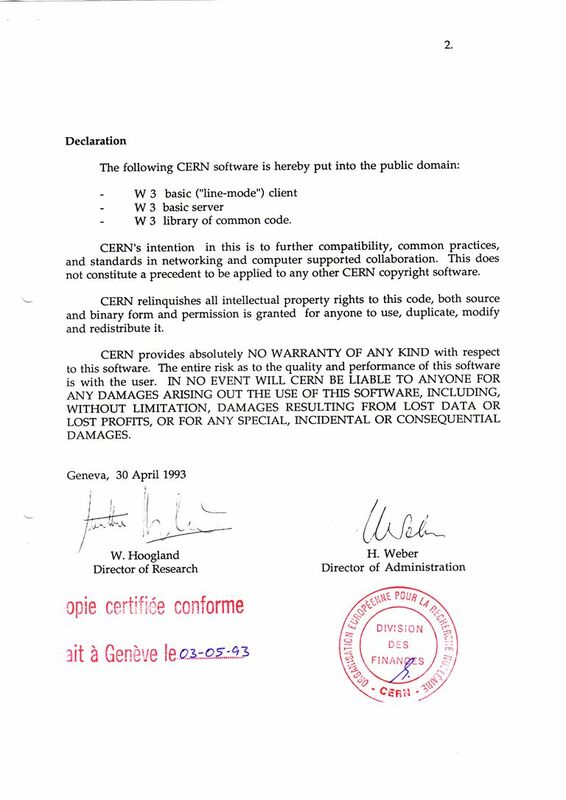 Antonio likes showing the legal document in April 1993 when CERN put the web technologies in the public domain, “a mind blowing moment in internet history” at the same time when the US released the internet IP protocols into the public domain. He makes the important observation that the creation of the Internet and web technologies were moments defined by heavy public investments into the common good. I’m heard promising this podcast would be published in 2018… Hah. I predicted 2019 would be excellent because Antonio and I would continue talking and making podcasts. We should hope Antonio survives the cold winters in Puerto Rico! 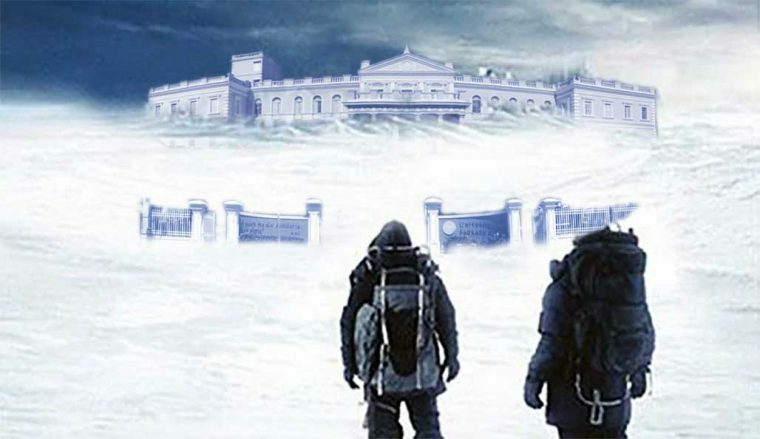 Featured Image: I mashed up a cover image from the The Day After Tomorrow with images of the classic building at Universidad Sagrado del Corázon and the campus gates found on their YouTube Channel.